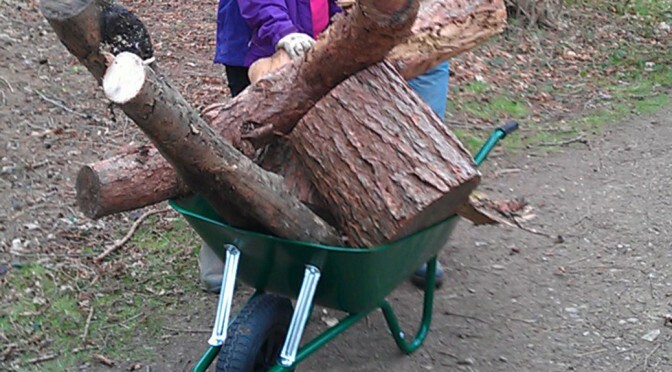 The format remained the same with people bringing their own wheelbarrows and borrowing saws to collect the wood from the previously felled trees – which was mostly ash. 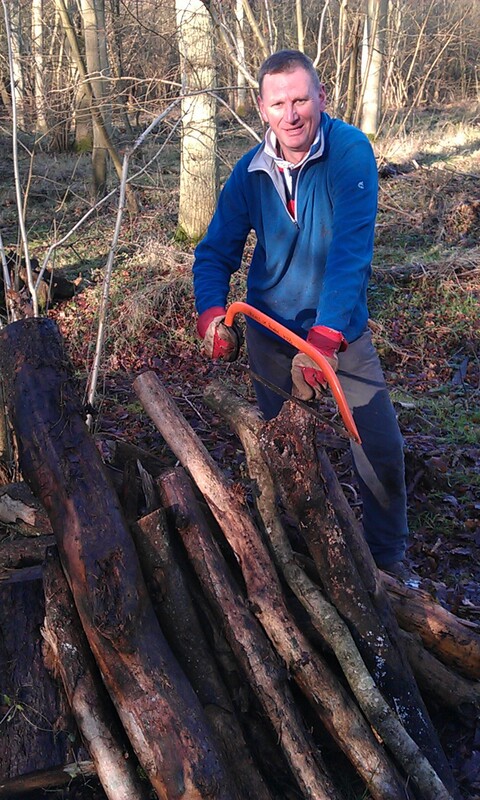 Collection was from the same place as earlier in the year as there remained plenty of wood. 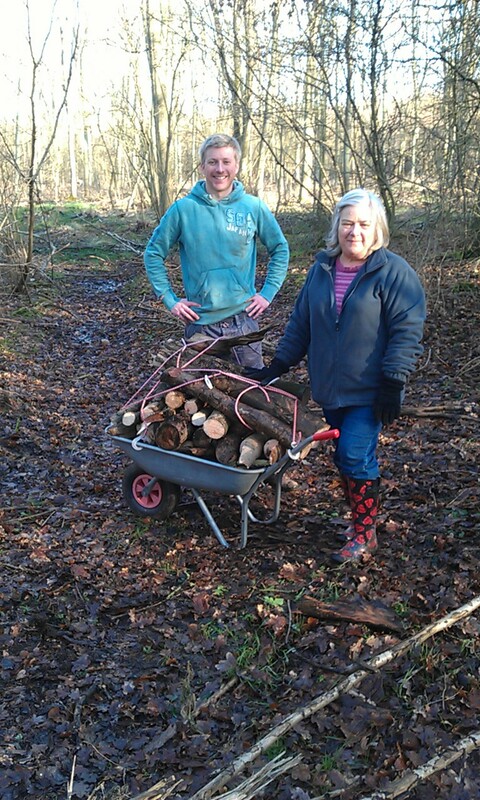 A barrow load of wood! Most people had more than one barrowful. It was a very successful day, which those taking part thoroughly enjoyed. It is a good way to enjoy the fresh air and get some exercise while finding some reasonably priced wood. The days are always popular with a regular clientele. 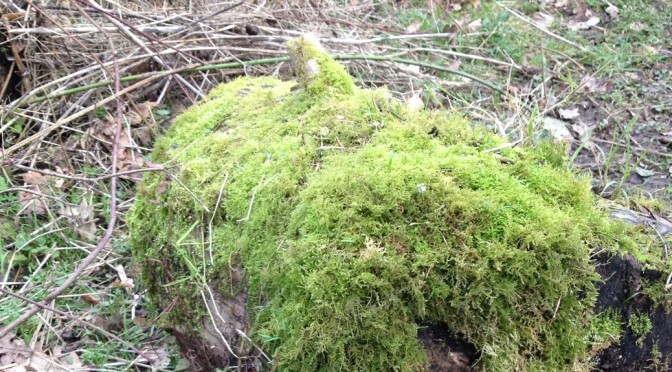 As yet we do have plans for a further event as it is dependant on the felling which takes place and the agreement with the Forestry Commission as to what deadwood can be removed. 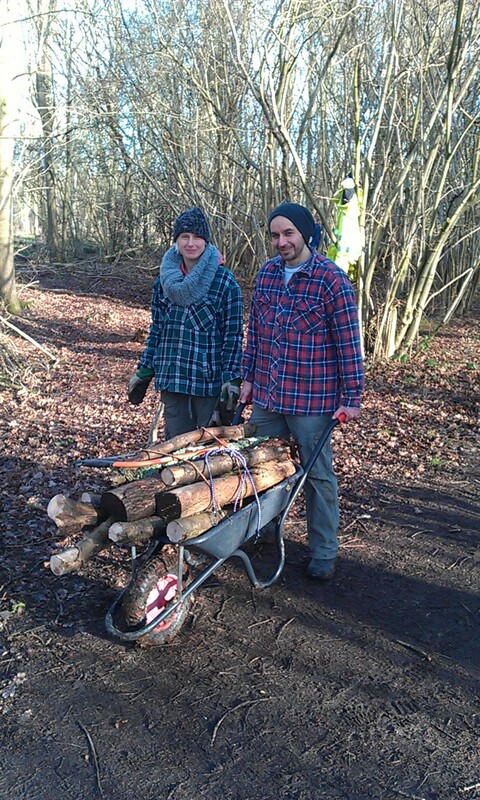 Our first scavenging day of the season was very well attended with 14 people coming to collect wood. 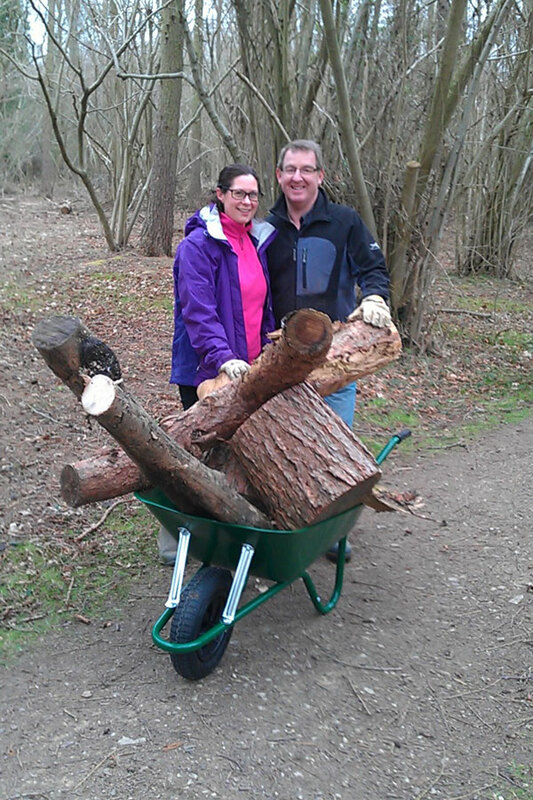 The format remained the same with people bringing their own wheelbarrows and borrowing saws to collect the wood from the previously felled trees – which was mostly ash. Collection was slightly easier this time as the access tracks were all well maintained paths, and not so far from the car park and there was plenty of wood. 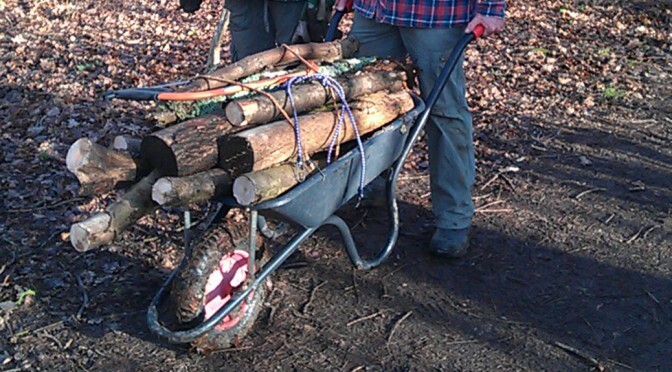 Several people had more than one barrowful; in fact the energetic people had 3 barrowloads! It was a very successful day, which those taking part thoroughly enjoyed.